Habits can extend to one extreme to the next, and either be beneficial or detrimental to health. While varying habits transform into resulting disparities, all habits can be modified and tailored to personal goals. Whether beginning your fitness journey or needing inspiration, implement these fitness habits to improve health! Habits are essentially developed by building and sticking to a routine. Particularly when first starting out in the fitness world, individuals should make it a habit of getting active each day, including a quick, 30-minute morning workout before work. 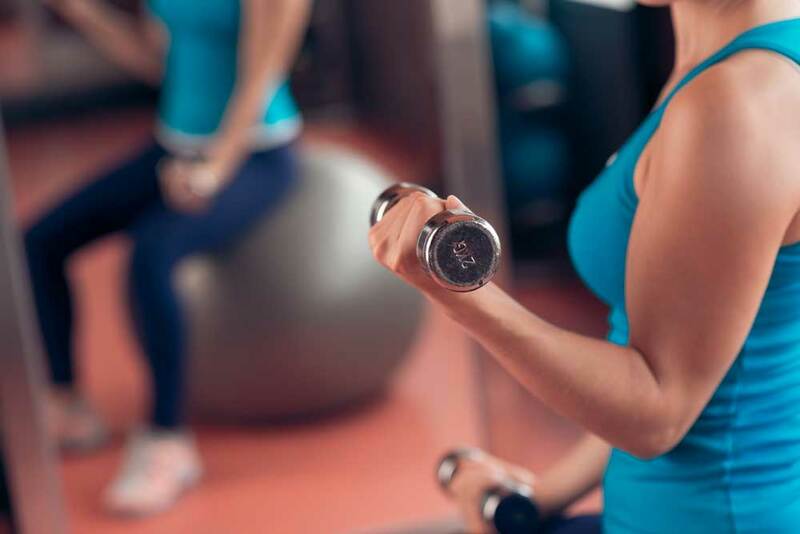 Predominately, women, tend to stray away from lifting weights in fear of “bulking up.” However, weight and resistance training is extremely valuable for building muscle and cultivating a lean body mass. Weightlifting should be incorporated into workout regimens at least a couple times each week. Although it may be tempting to focus on running faster and lifting heavier, individuals should focus most attention on good form. Along with protecting against injury, focusing on form can naturally heighten physical performance. Exercise is much more than regular trips to the gym. Especially if stepping into the fitness world, experiment and try out multiple workouts and activities. 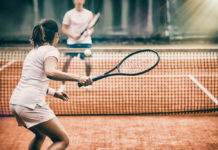 From joining a local kickball team to signing up for a yoga class, there are numerous, fun ways to keep active and prevent burnout. Workout buddies are extremely valuable, as being in a group of likeminded people accelerates motivation and keeps you accountable. Signup at a local gym, attend regular fitness classes, or confide in a single workout buddy to naturally adhere to fitness goals. Stretching is just as important as the actual workout, though it tends to get left behind. Especially following strenuous activities, stretching helps prevent against injury and keeps muscles strong and flexible, ultimately maintaining range of motion in the joints. While tackling workouts on a routine basis is admirable, we must not forget the importance of rest days. Allowing breaks in between muscle groups offers them opportunity to recover and optimize workouts to come. Along with resting muscles, sleep to reset the mind. Achieving adequate sleep can keep you energized enough to tackle workouts and optimize your physical performance. Sleep is also important in building a strong immune system and healthy metabolism, along with combatting against premature aging. The purpose of a strenuous workout may be defeated if missing the opportunity to refuel the body properly with nutrients. Find 10 of the best foods for muscle recovery here. Water is a major component of muscles and organs, comprising an average of 60 and 50 percent of male and female bodies, respectively. Keeping hydrated prevents against muscle cramping and fatigue, along with precipitating a cooling effect following workouts. Active, healthy individuals should consume at least eight, 8-ounce glasses of water each day. Don’t just look the part, but feel the part! Workout clothes and gear can be an essential part in your fitness success, as feeling uncomfortable can deplete motivation and desire to carryout a workout. Wear light, breathable clothing along with appropriate shoe wear. Exercise should not feel like a chore, and it certainly does not need to be! Relish in the activities you enjoy, fall in love with exercise, and enjoy the fitness journey!